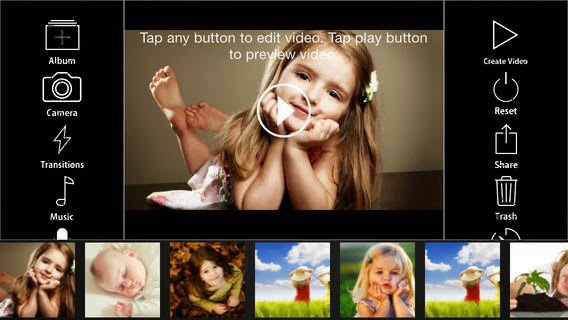 FREE for a limited time… FunSlides – Make HD videos from photos, an easy-to-use photography app which could be a fabulous tool for the classroom. Photos from your camera roll are easily arranged into sequence. Then customized text can be added – a variety of fonts, colors, and sizes are available. The app also includes seven transitions and thirteen built-in musical themes. You can also add music from your personal music library or record a voice over to go with your slideshow. Completed slideshows are easily saved to videos in your photo library. From there they can be shared in a variety of ways. Kids could use this app to create timelines, document a field trip, record science experiments, retell a story, etc. There are so many creative uses for this fabulous educational tool!